The music world lost Chris Cornell in May 2017, but the legendary musician’s memory lived on at the 2019 Grammy Awards. 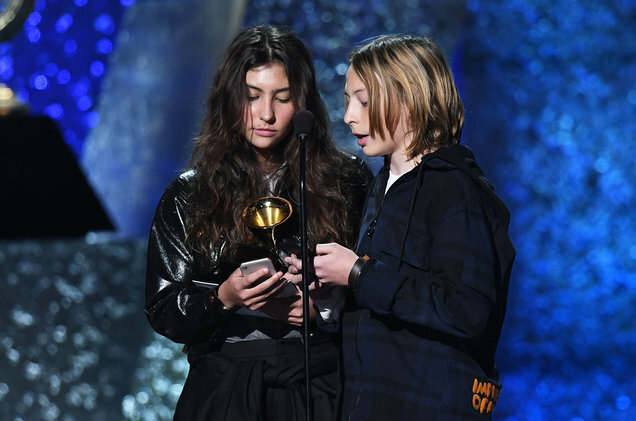 Up for best rock performance, Cornell’s “When Bad Does Good” was announced as the winner today (Feb. 10) during the L.A. ceremony prior to the Grammys’ televised segment. There to accept the award were his 14-year old daughter Toni and his 13-year old son Christopher. Cornell’s widow, Vicky Cornell, was also present at the ceremony. This marks the Soundgarden and Audioslave frontman’s third Grammy win: back in 1994, Soundgarden’s “Black Hole Sun” won best hard rock performance and “Spoonman” won best metal performance. “When Bad Does Good” was one of numerous previously-unreleased songs included in a four-disc posthumous boxset, titled simply Chris Cornell and released last year.